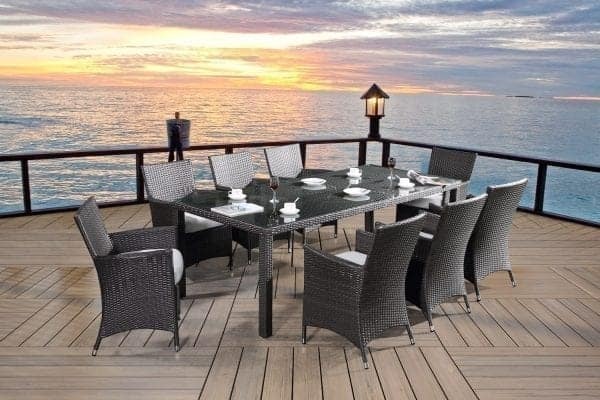 Nothing quite compares to an el fresco dinner on a warm summer evening. 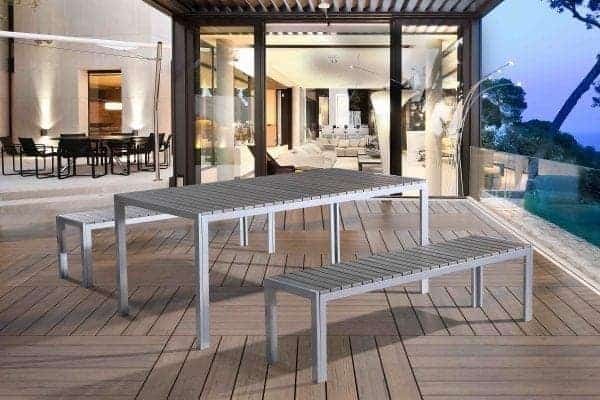 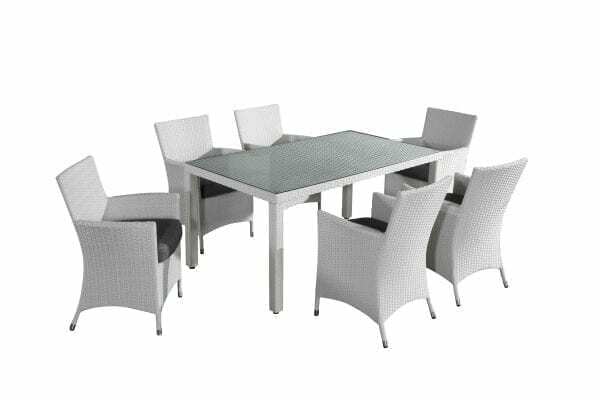 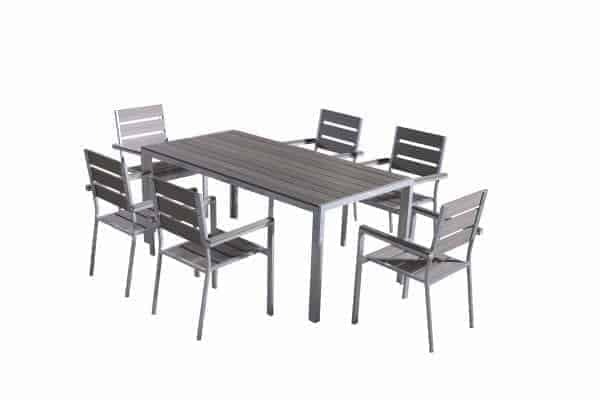 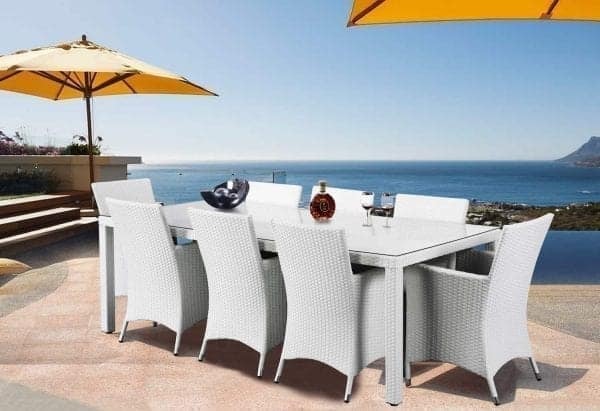 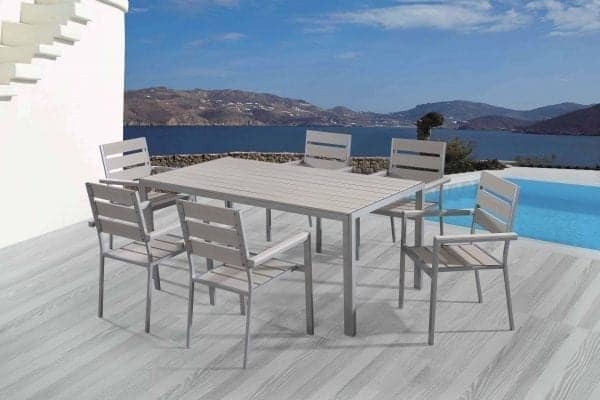 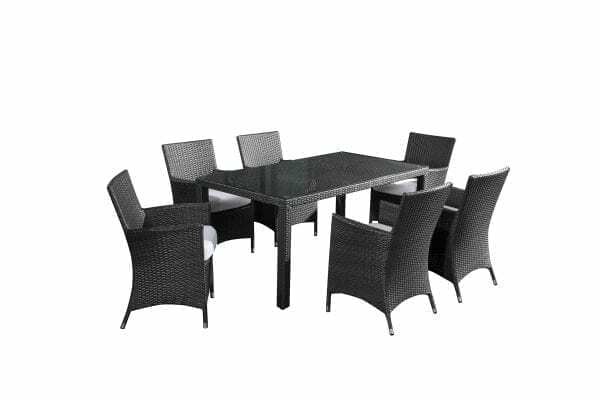 But whether you are hosting a raucous barbeque and pool party or an elegant soiree on the patio, it’s important to be equipped with the right outdoor dining set. 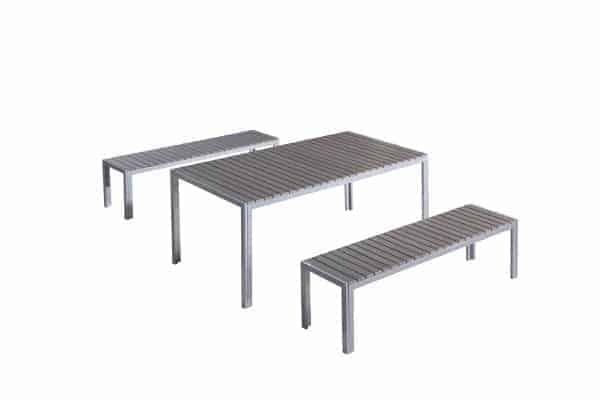 After all, the old school style wooden picnic tables aren’t very comfortable – and even worse, making your guests balance their cheeseburger and potato salad on their lap while trying to hold a fork in one hand and a beverage in the other is not a very hospitable route to take! 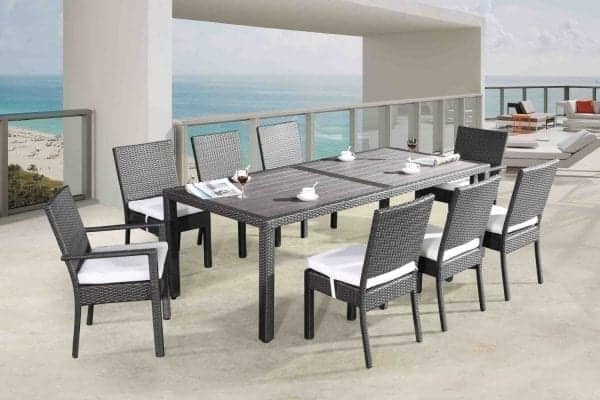 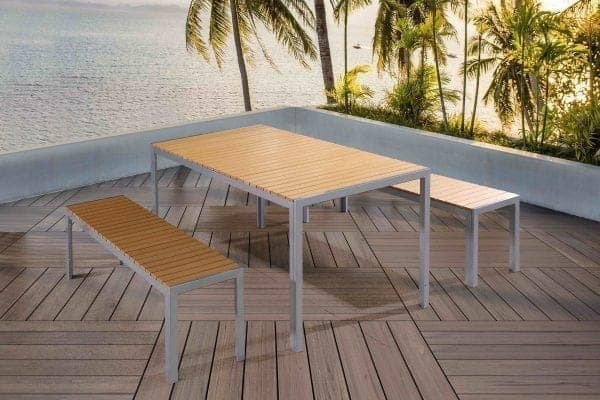 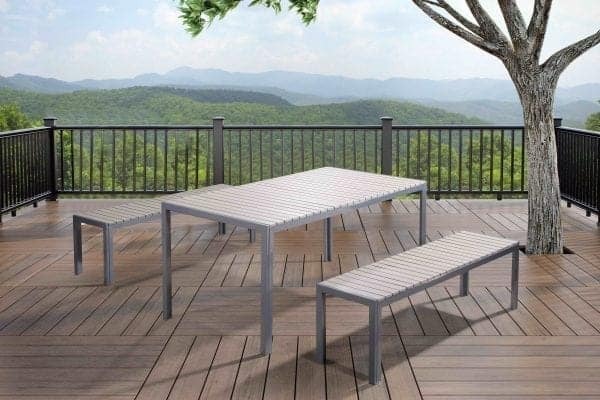 Fortunately, finding the idea outdoor dining set for your deck or patio is as simple as browsing the selection carried by Velago Patio Furniture. 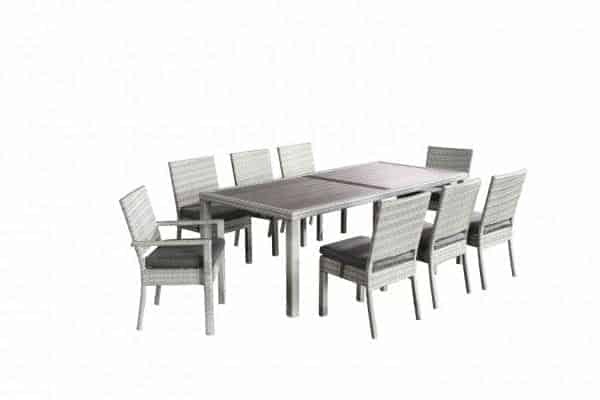 At Velago, we offer all kinds of dining sets, at least a few of which are sure to fit in with your personal tastes and budget. 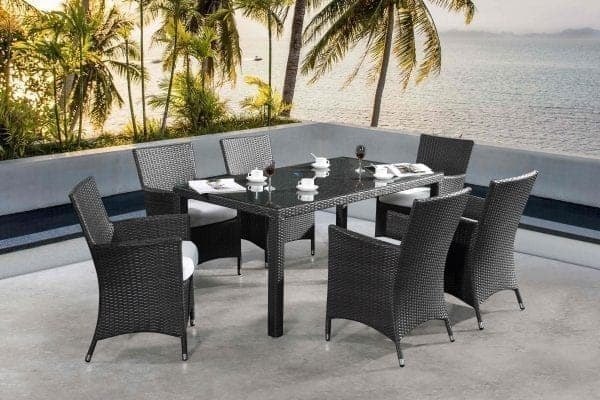 Whether your tastes are more traditional or whether you would prefer a dining set with a modern twist, you can find what you are looking for right here. 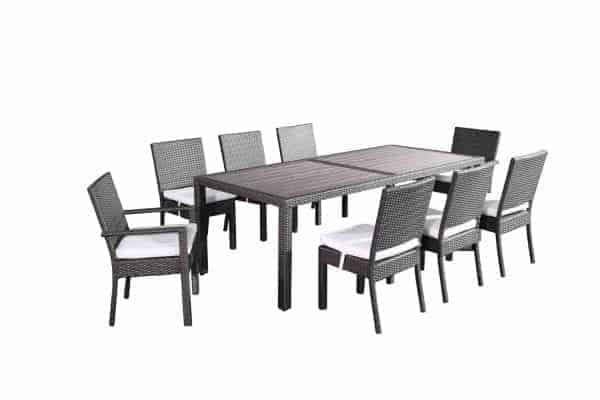 Not only do we offer high quality designer sets – but we offer them at discount prices. 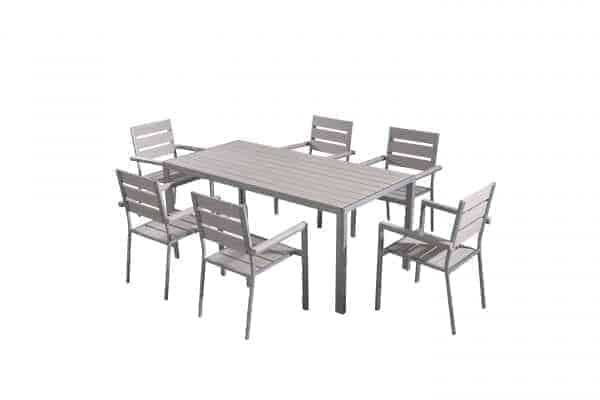 And, since we take orders online and ship across North America, you can choose the ideal set from the comfort of your own home. 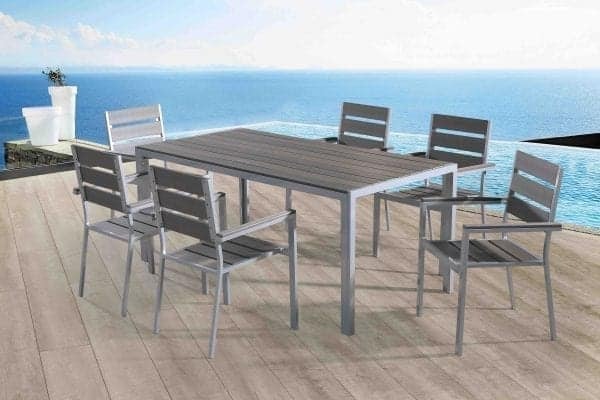 And while you can receive all the elegance you desire out of a dining set from Velago, make no mistake that this furniture was meant to withstand the outdoors. 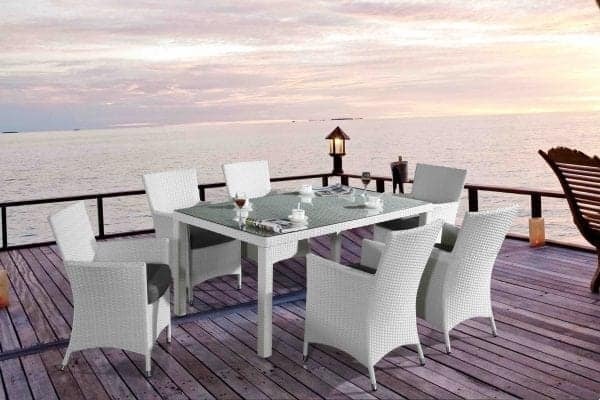 Our high quality products will resist fading with the sun and there is no need to worry that a sudden summer rainstorm will invite mold and mildew. 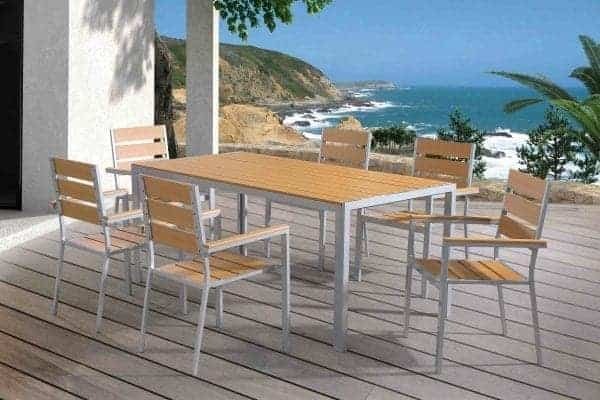 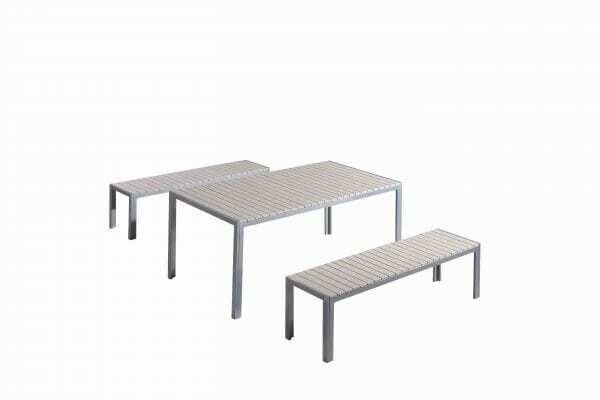 With some basic care of these low-maintenance outdoor tables and chairs, they will last for many years. 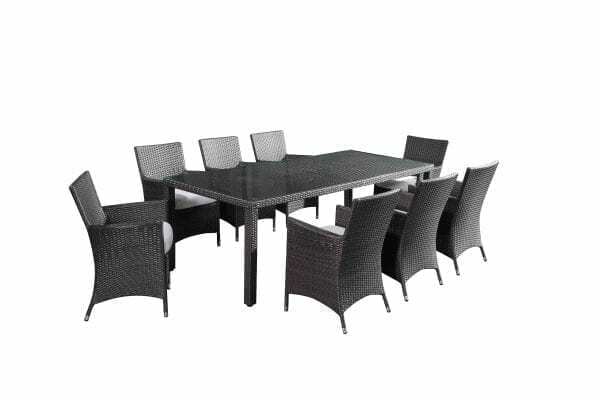 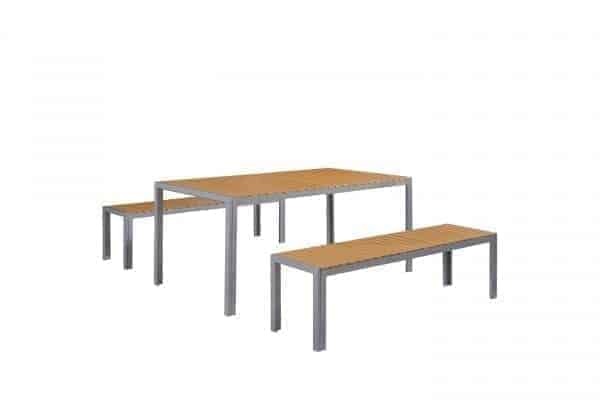 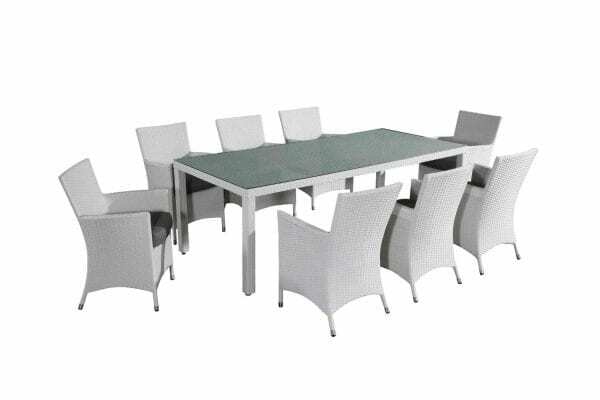 Whether you require dinner seating for four, six or eight people we can provide you with the perfectly sized dinning set for your outdoor space. 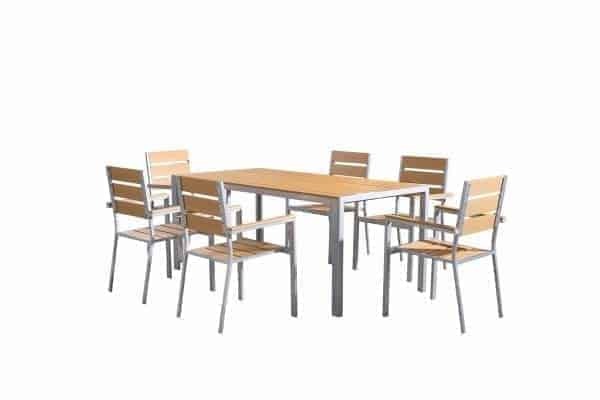 Simply click on any image in our gallery to get more details about size and weight. 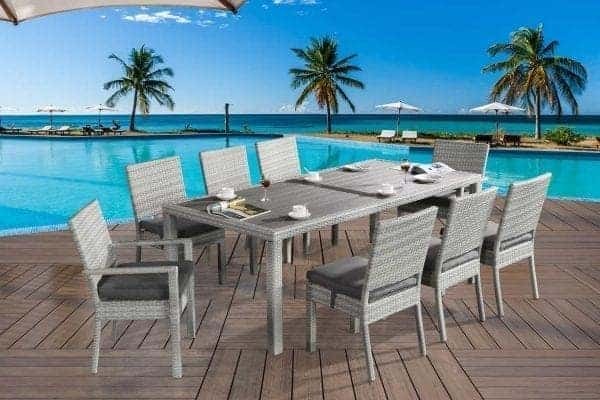 Velago is North America’s premier online retailer for outdoor dining sets and once you’ve experienced our high quality products for yourself along with our unsurpassed customer service, we think you’ll understand why.